Suppose you develop a web application and in your web app you want to use PayPal’s services to allow your customers to buy your goods or services. During development you will, of course, use PayPal’s sandbox site where you can simulate and test the process of transferring funds from your customers to you. One of the mechanisms through which PayPal informs you of the money transfer is web notifications (in PayPal’s case they can be called webhooks or IPN or PDT API-s, but the process is similar). Simply said, web notifications or webhooks are special URLs in your web app, through which PayPal informs you of any changes in your account. With sshreach.me, you can just tunnel your development web server’s port through the sshreach.me’s tunnel and then set the PayPal’s notification URLs to the appropriate tunnel exit point. Furthermore, you can open and close the tunnel whenever you need to, so your development server is not visible on the whole internet all the time. 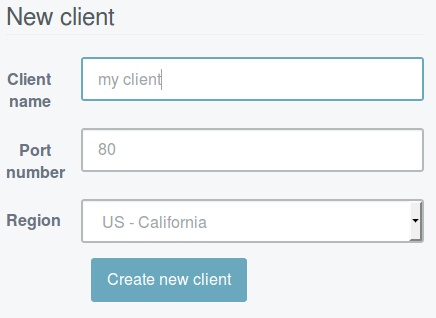 First, just create a new client and forward port number 80 (or whatever your dev server is listening to).